30 years strong and fueled by 1,700 smart, passionate employees across New York state and Vermont, MVP is full of opportunities to grow. Stop settling for “just a job,” and join a company where you can reach your full potential…and make a positive difference. MVP Health Care is an Affirmative Action/Equal Opportunity Employer (PDF). We recruit, employ, train, compensate, and promote without regard to race, religion, creed, color, national origin, age, gender, sexual orientation, marital status, disability, genetic information, veteran status, or any other basis, e.g., Pay Transparency (PDF), protected by applicable federal, state or local law. Any person with a disability needing special accommodations to the application process, please contact Human Resources at hr@mvphealthcare.com. In support of a safe, drug free workplace, pre-employment criminal background checks and drug testing are part of MVP Health Care’s hiring process. In accordance with applicable law, MVP will not request current or historical salary information from candidates and is in the process of updating our systems to reflect this practice. 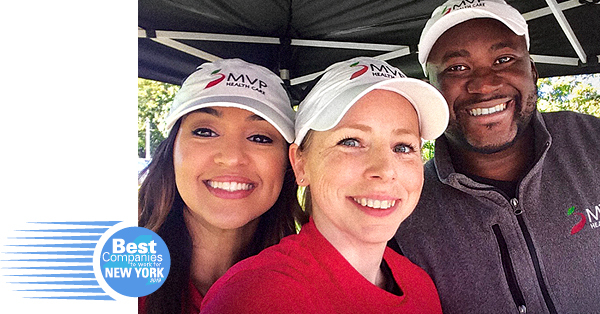 Search current MVP job openings and apply online. Get to know our culture, environment and the people that make us great. From 401(k)s and insurance to wellness and continuing education.